This is a fine art piece that is definitely going to appeal to anyone who has gone through college. If you know a thing or two about late nights, lugging books around, and studying well into the early hours of the morning, then you will definitely relate to everything in this piece. 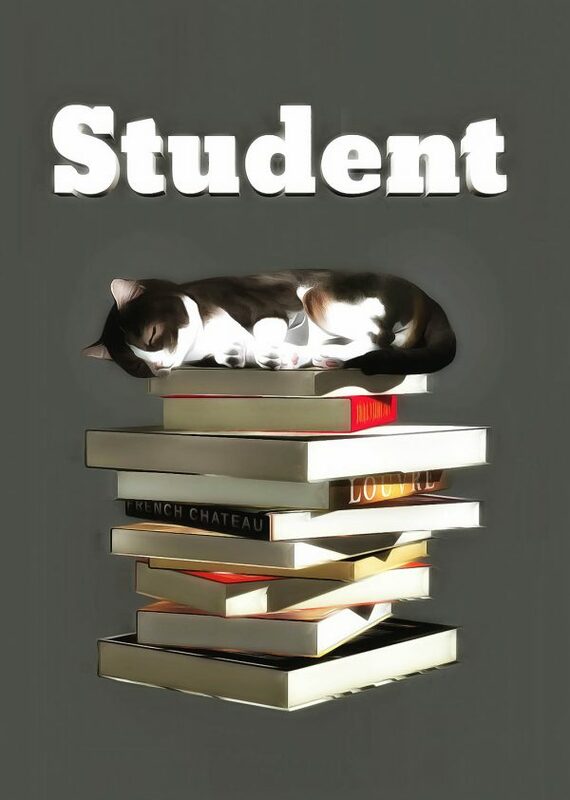 You are going to note that the adorable cat in this piece has likely been studying for a long time. We can see that it is fast asleep on top of a pile of books. A piece such as this can make for a welcome addition to any space. This entry was posted on Monday, January 22nd, 2018 at 10:12 am. It is filed under Advertising, Animals / Wildlife, Featured, Fine Art, New, New Images and tagged with books, career, cat, feline, job, kitten, lazy, rest, resting, sleep, sleeping, student, whimsical, work. You can follow any responses to this entry through the RSS 2.0 feed.